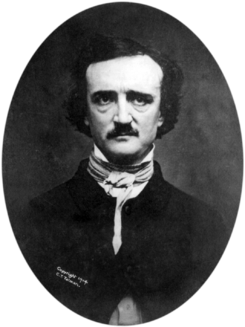 IMHO, no writer in history embodies the essence of Halloween more that Edgar Allen Poe whom I consider the creator of the horror genre (yes, I know he’s credited as the creator of detective-fiction and contributor to the science fiction genre but he dealt more in the macabre than anything else). So, on this Halloween 2011 I present a very special reading of Poe’s famous poem, “The Raven.” Enjoy! You are right, sir! The celebration of Easter is derived from Pagan fertility rites of spring. It would be interesting to research this further.